So a managed a wee trip to Edinburgh the week before the big vote. I LOVE Edinburgh. It's just one of those cities with a good vibe. I had a little spare time between work, and wondered the streets on my own taking in the buzz, the tourists, and watching the world's media (OK, well the UK's media anyway) descend like vultures on the latest news morsel to pick over (endlessly as it turned out) till the vote was done. I had hoped to have more time and check out a few new pubs, the Hanging Bat in particular was on my list thanks to recommendations from beer gurus like Michael Kerr. Work screwed me. 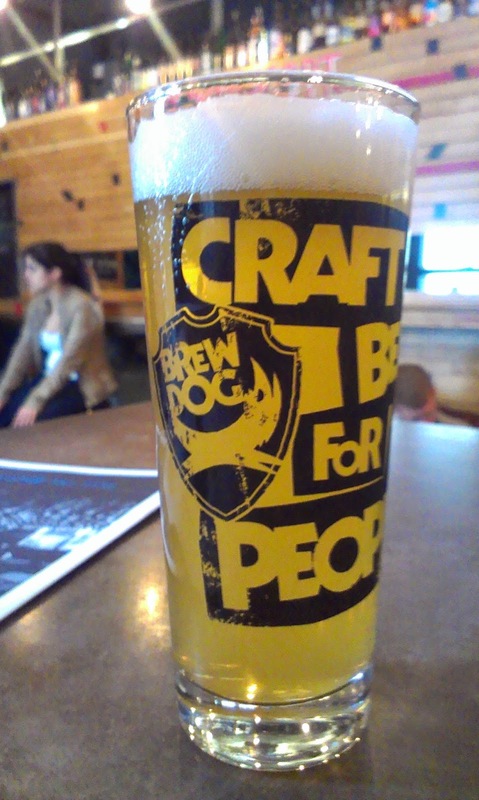 I had less time than I needed and therefore decided to drop into Brewdog Edinburgh which was near where I needed to be. Like the rest of Edinburgh, it had an easy going vibe but plenty of people out for a Monday night. Lots of American's in there getting their hops on. Description: Poured a nice dark straw colour, hazy, with a small perfectly white head. The aroma did the normal tripel thing, yeasty Belgian spice, a bit of fruit (I’d say a definite hint of apple), but then added in a hint of smoke. Flavour was more of the light apple fruit, a green grassy hops, spice (coriander). Light to mid bodied with a definite vinous quality. Thoughts: Ah now this is how you do it. 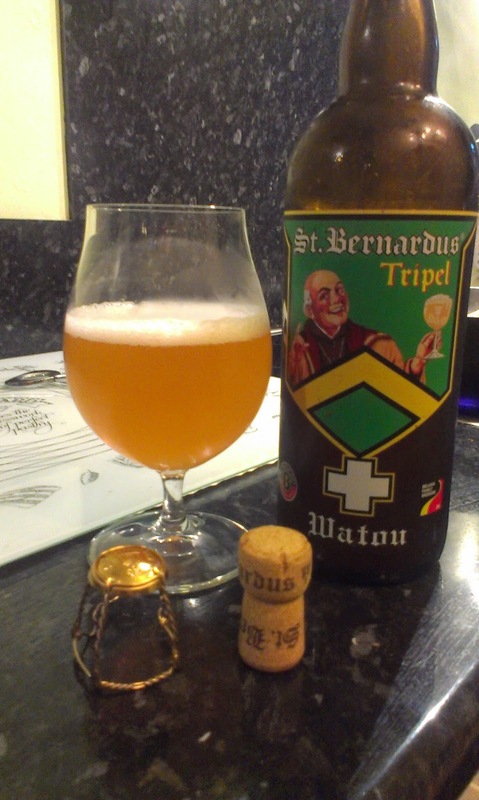 It’s a big beer, but plenty of subtly with it too – dangerous stuff with that high ABV hidden so well (till the second glass anyway). Description: Pale yellow in colour, cloudy, it poured with a small white head. My notes say “damn it I’ve got the cold and can’t get much from this” so that’s enlightening… there was a hint of orange and lemon, and a fair whack of wheat too. 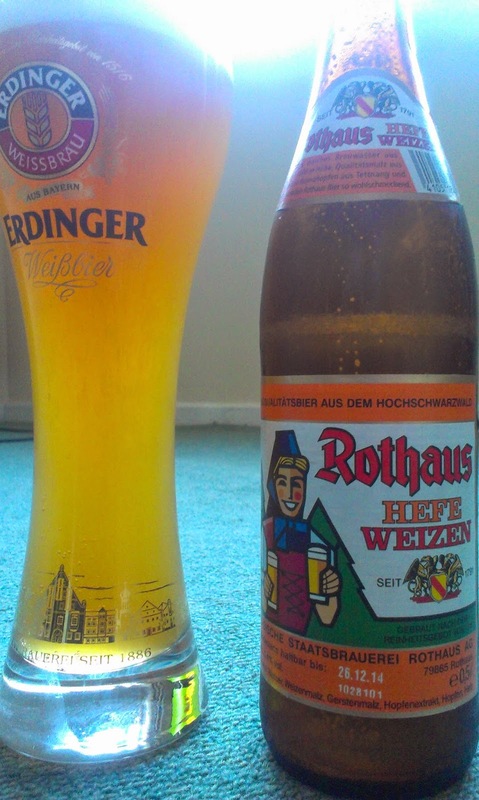 Slightly chalky wheat flavour to start, more of that orange juice in the taste, and – if I try really hard - maybe a hint of lemon rind and lemongrass. Pretty light bodied – expected it to be creamier. 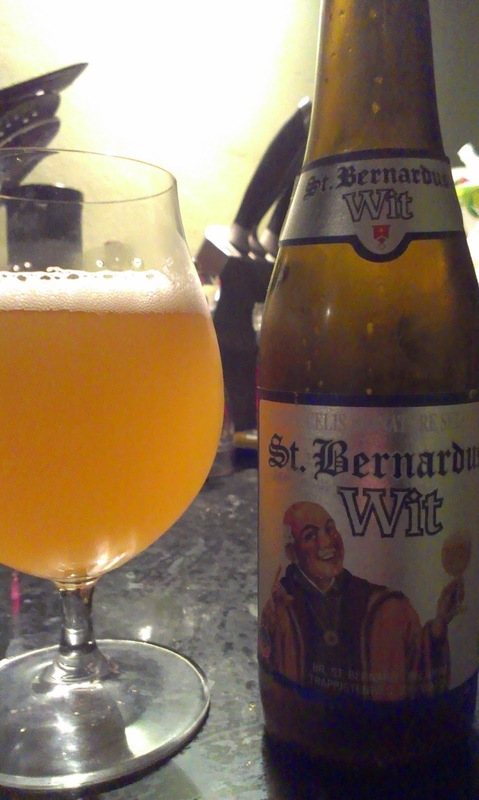 Thoughts: With so many good beer produced by St Bernardus, I came into this with expectations. While there weren’t met by the beer, it was fine without ever being exciting or particularly tasty. Thoughts: Quite enjoyed this, in my opinion it was better than the Unertl version I recently sampled. Would buy again.